To provide administrative support to the Vegetable Marketing Organization (VMO). 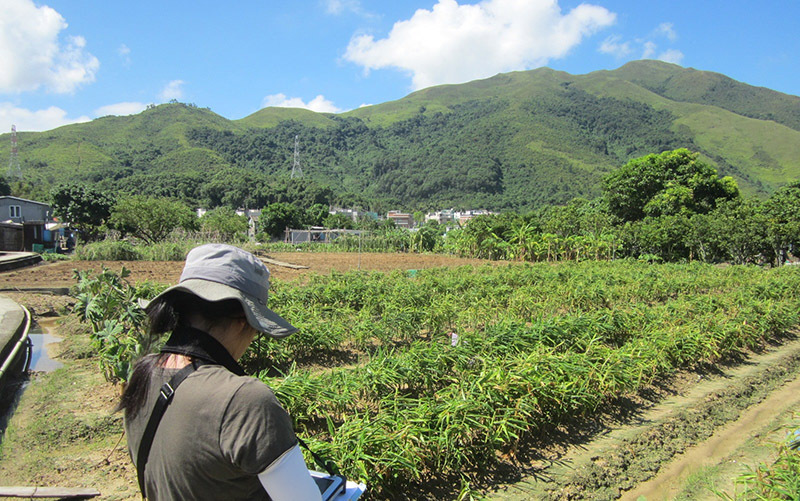 Agriculture in Hong Kong is undertaken mostly in the urban fringes. Currently, only 7.0 square kilometres out of the territory's 1 106 square kilometres of land area are farmed. Some 4 300 farmers, about 0.11% of the territory's total work force, are engaged in agriculture. The local agricultural industry involves producing quality fresh food through intensive land use and modern farming practices. 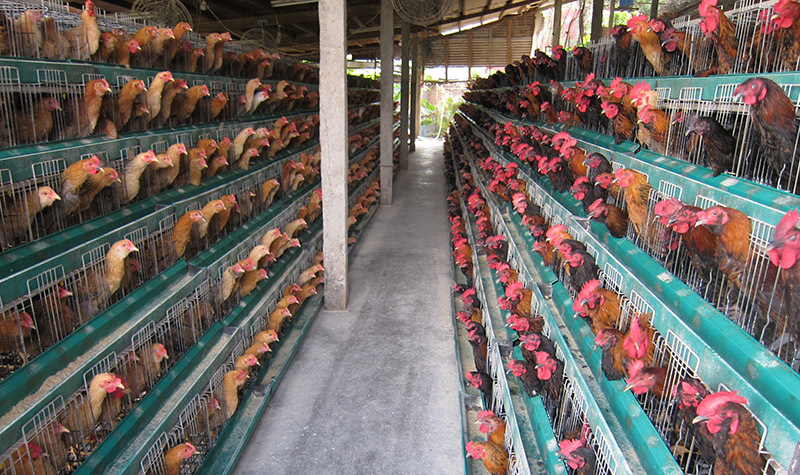 Despite its relatively small scale, the industry produces a substantial amount of vegetables, poultry and pigs. Local agricultural production in the years 2015 and 2016 were valued at $945 million and $1,045 million respectively. Statistics on agricultural production, fresh foodstuff consumption and agricultural land utilisation are at Appendices 1, 2 and 3. Vegetable crops grown year-round include Chinese white cabbage, flowering Chinese cabbage and lettuce. Yard long bean, water spinach, Chinese spinach, cucumber and several species of Chinese gourd are produced in summer, while spinach, watercress, Chinese kale and matrimony vine are grown in the cooler months. Orchids and ornamental plants are now grown all year round. Dahlia, chrysanthemum, lily and gladiolus are grown in winter, while ginger lily, lotus flower and sunflower are grown in summer. Peach blossom is grown specially for the Lunar New Year season. The Department continues to promote the cultivation of premium vegetables to serve niche markets and help farmers gain better economic returns. Three improved varieties viz. 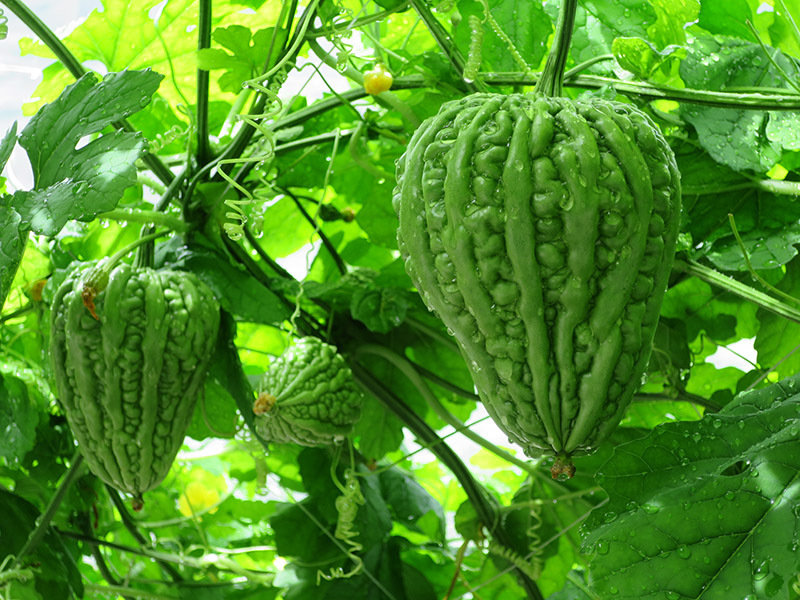 broad-shoulder bitter gourd, a hairy gourd variety “Seven Star” and an eggplant variety “Yanbu Autumn Eggplant” were introduced to farmers for production in the year. Since July 2006, the Department has been running a voluntary registration scheme for local vegetable farms. Under the scheme, the Department has set up a central vegetable farm database containing farmers' particulars, farm size, location and horticultural details. As at March 2017, 1 940 farms covering a total area of 413 hectares have joined the scheme. The Department has been running a voluntary Accredited Farm Scheme since 1994. Under the Scheme, the Department advises participating farmers on the proper and safe use of pesticides, monitors their horticultural practices and samples their vegetables for pesticide residues analysis. 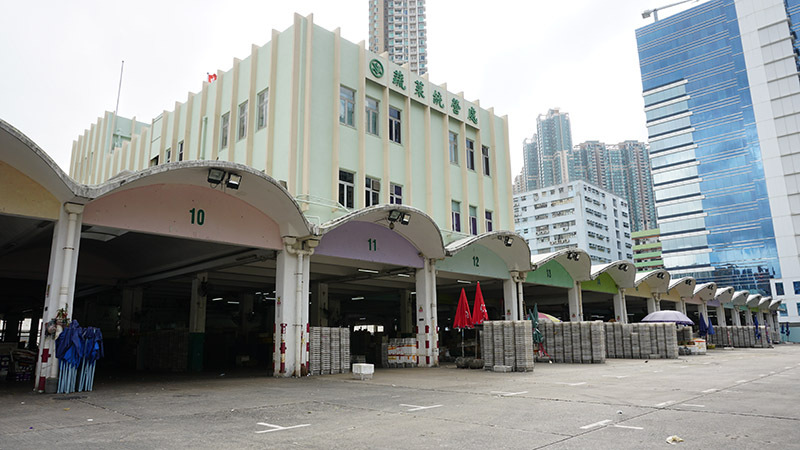 Accredited farmers market their vegetables through the VMO and the vegetables are subsequently distributed to designated retail outlets including wet market stalls and supermarkets. To enable easy identification by the public, every designated outlet carries a logo of VMO "Accredited Retailer". 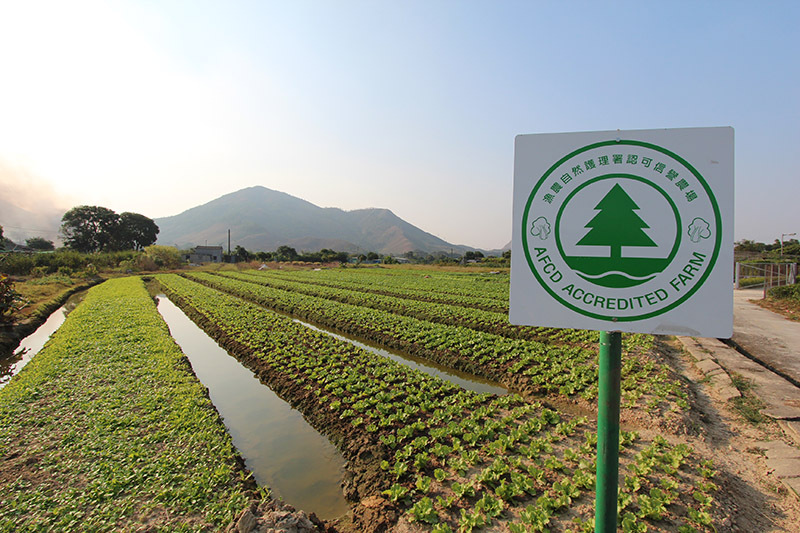 As at March 2017, 276 local farms covering a total area of 84 hectares and 36 vegetable farms operated by Hong Kong farmers in Guangdong and Ningxia covering 2 989 hectares have been accredited. There were 323 accredited retail outlets located in different districts to provide easy access to accredited vegetables for consumers. Since 2000, the Department has been helping local farmers shift towards organic farming practices by providing relevant knowledge and technical support, while the VMO assists farmers in selling their organic produce through its established sales channels. Up to March 2017, 300 local farms covering a total area of 108 hectares have joined the Department's "Organic Farming Support Service". Together, on average they produced about 6 tonnes of organic vegetables per day, including vegetable varieties such as lettuce, white cabbage, flowering cabbage, water spinach, Chinese spinach, Chinese kale, garland chrysanthemum, eggplant, bitter cucumber, wax gourd, yard-long bean, cherry tomato, carrot, etc. The Department also supports the Hong Kong Organic Resource Centre, a non-profit making organisation co-founded by the Hong Kong Baptist University, the Hong Kong Organic Farming Association and the Produce Green Foundation, to develop and implement certification standards for organic production and processing in Hong Kong. Since the launch of this organic certification service in late 2004, 147 organic farms and 5 processing companies have been certified. A number of local farms have started offering leisure activities like pick-your-own produce, renting of land plots for hobby farming, and farming experience courses for visitors. The Department continued to publish “A Guide to Hong Kong Leisure Farms” and update an interactive webpage and a mobile application to provide information on these farms to facilitate the public to make a visit and to further promote leisure farming. Since the implementation of the Livestock Waste Control Scheme in 1994, all livestock farms must hold a Livestock Keeping Licence (LKL) for the keeping of livestock. In order to obtain an LKL, the farmer must install appropriate waste treatment facilities that meet discharge standards. The LKL also contains provisions related to the protection of public health and includes conditions related to the control and prevention of animal diseases, such as avian influenza. All licensed livestock farms are inspected regularly, particularly those suspected of discharging waste illegally or where waste treatment practices have caused a nuisance to surrounding communities. Action is also taken against illegal livestock keeping. To assist pig farmers in striving for better husbandry efficiency and higher management standards, the Department has formulated a set of Code of Practice for Pig Farming (CoP) as general guidelines for farm operation and will monitor its implementation through regular farm inspection. Training workshops and seminars will continue to be organised to improve the management practices of pig farmers with a view to assisting them to comply with the requirements in the CoP. Controlled-environment greenhouses are built with transparent plastic films or polycarbonate sheets to provide an enclosed environment that enables the regulation of temperature, humidity and intensity of light for the optimal production of crops. To further increase productivity, advanced greenhouses are often equipped with automatic irrigation, fertilisation and/or spraying systems as well. 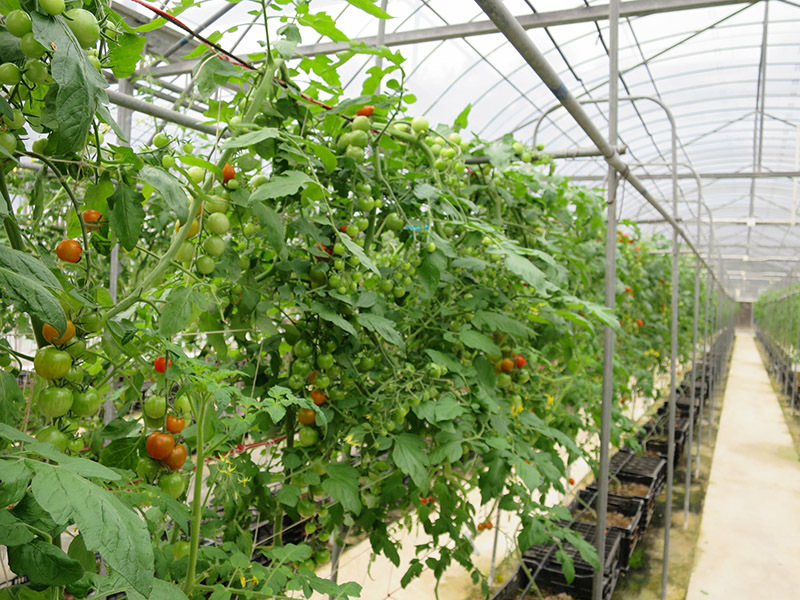 The Department has adapted greenhouse technology to local conditions and extended it to farmers through seminars and demonstrations for the intensive production of high value crops, such as coloured sweet peppers, white bitter cucumber, rock melon, edible fungus, edible white chrysanthemum and lily. Newsletters are issued regularly to update farmers on the latest developments and an electronic version is also available on the Department's website. Under the terms and conditions of land grants, any farmer who wishes to build an agricultural structure (greenhouse, livestock shed, hatchery, fish pond or store room) on leasehold agricultural land must apply to the Lands Department for a Letter of Approval for Agricultural Structures. To facilitate applications by farmers, the Department has streamlined procedures with the Lands Department and taken up the responsibility for assessing such applications. During 2016-17, the Department processed 32 applications covering 114 agricultural structures. The Department promotes the return of fallow land not earmarked for development to cultivation by helping farmers arrange land tenancy, improving soil conditions, providing marketing facilities and other technical assistance. During 2016-17, the Department successfully assisted 27 farmers to rent 4 hectares of farmland. Apart from land leasing, the Department also provided various assistance to 75 farmers rehabilitating 28.8 hectares of farmland. Furthermore, the Department responded to 4 215 technical inquiries related to agricultural production or development, and conducted 2 575 field investigations in connection with irrigation and other agricultural matters. To help farmers expand their customer base and to provide public with the opportunity to shop for premium local produce in the bustling city, the Department, the VMO, Fish Marketing Organization and Organising Committee of FARMFEST jointly organised FARMFEST 2017 at Fa Hui Park, MongKok from 30 December 2016 to 2 January 2017. 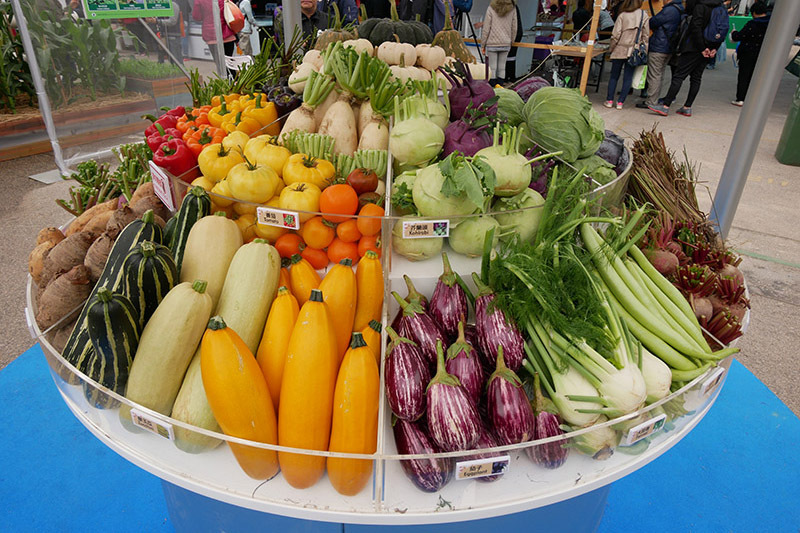 Some 380 stalls showcased a wide variety of local agricultural and fishery products. Over the years, FARMFEST has established itself as a major agricultural market, where farmers bring their produce for direct sale to the public and connect with their consumers. FARMFEST 2017 attracted over 242 000 visitors. The Department manages the Kadoorie Agricultural Aid Loan Fund, the J.E. Joseph Trust Fund and the Vegetable Marketing Organization Loan Fund to meet farmers' credit needs. A total of $6.33 million was lent to farmers during 2016-17, including 51 loans ($4.24 million) to crop farmers and 17 loans ($2.09 million) to livestock farmers. A total of $1.87 million was lent to fish farmers, including 4 loans ($0.49 million) to pond fish farmers and 10 loans ($1.38 million) to mariculturists. Emergency relief grants are issued to needy farmers who suffer from natural disasters to help them rehabilitate their farming operations. In 2016-17, grants totalling $8.19 million were distributed to 2 429 farmers due to damage of crops by typhoons or rainstorm. The Department manages four government wholesale food markets, providing some 2 688 trading stalls and related ancillary facilities. Altogether, these markets provide some 27.5% of the fresh food items (vegetables, freshwater fish, eggs, fruits and live poultry) consumed by the community. Appendix 4 gives details of the market throughput in these wholesale markets. The VMO is set up under the Agricultural Products (Marketing) Ordinance (Cap 277) as a non-profit making organisation to provide facilities and services for the orderly and efficient marketing of vegetables. The organisation charges wholesalers a commission of up to 10% of the total value of sales for providing trading facilities, accounting and pesticide residue testing services. Its surpluses are used to support agricultural programmes and development projects. In addition, the VMO has set up the VMO Loan Fund to provide credit assistance to farmers, and the Agricultural Products Scholarship Fund to promote education and training in agriculture. Any 15 or more persons who wish to associate themselves together as a credit union for the objects to promote thrift, to receive the savings of its members either as payment on shares or as deposits and to make loans to its members for provident or productive purposes, may be registered under the Credit Unions Ordinance (Cap 119). The Registrar of Credit Unions is responsible for the registration of credit unions and their by-laws, the examination and inquiry, and general supervision. Any ten or more persons who wish to associate themselves together as a co-operative society for the objects of the promotion of the economic interests of its members in accordance with co-operative principles, or facilitating the operations of such a society, may be registered under the Co-operative Societies Ordinance (Cap 33). The Registrar of Co-operative Societies is responsible for the registration of societies and their by-laws, the inspection or audit of accounts and general supervision. Statistics on registered credit unions and co-operative societies are at Appendices 5 and 6. The Government announced the implementation of the New Agriculture Policy (NAP) in 2016 to promote the modernisation and sustainable development of local agriculture. The $500 million Sustainable Agricultural Development Fund is open for applications since December 2016 to enhance the overall competitiveness of the agricultural industry. Other major measures under the NAP include establishing an Agricultural Park; exploring the feasibility of designating agricultural priority areas; providing better support and assistance to help farmers move up the value chain; enhancing food safety and marketing as well as brand-building of local farm produce; facilitating development of hydroponics and agro-technology; and developing leisure and educational activities related to agriculture. The supportive measures under the NAP will be implemented by the Government progressively in stages.